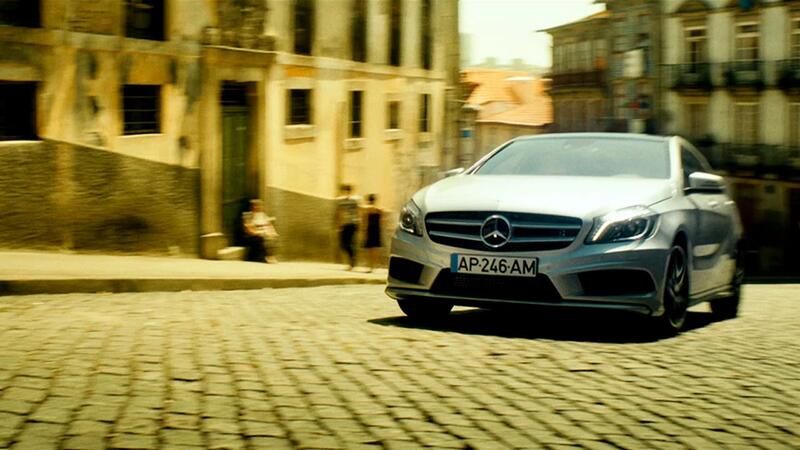 The Mill, AMV and Stink create the first ever UK spot where the outcome is dictated live by the audience on Twitter in Mercedes' 'You Drive'. Working with the creatives at AMV and Stink's Yann Demange, The Mill's team delivered 3 spots in the 'You Drive' campaign for Mercedes. And it was a campaign that did something for the first time in the UK - allow the viewer to choose their own ending. The first spot aired during X-Factor on Saturday Oct 6th. Viewers were then told 'You Drive' and tweeted which out of 2 choices they would like to see as the next part of the story and the winner was aired during the next break. The 2nd spot then had a further choice at the end, which was shown the next day as a full 90 second spot (shown above), featuring the first two spots and the most popular part three. "It was thrilling to be involved" says Mill VFX producer Louise Unwin, "the whole team was guessing which choices would come out on top. Due to not knowing which spot the audience would pick, we had to create all necessary outcomes with the percentage details being inputted live on the night as we watched in anticipation."